Why Attend Industry Trade Shows? Although he probably wasn’t referring to attending industry trade shows, Vanilla Ice said it best, “Stop. Collaborate And Listen.” So why do people attend industry trade shows anyway? We polled a handful of customers to learn why they’re planning to take time away from work and family to attend FabTech this year in Vegas. Overwhelmingly, they echoed a desire to collaborate in person with their peers and to familiarize themselves with new products. This desire for people to share with like-minded folks is no new concept. We see it with politics, sports teams, craft circles, churches, trade organizations, etc. At a time when it seems that the media is pointing out our vast differences, it’s more important than ever that we find ways to connect with people, even across the aisle. We’ll never agree on every topic or welding technique, but it’s always possible to find a positive connection with a new person regardless of whether they’re across the globe or across the weld shop. Why is listening an important element of attending a trade show? It’ not until we stop ourselves from telling our own story and show genuine interest in our partners, competitors, and customers that we really learn. The art of listening requires us to remove our auto-darkening lenses and hear what someone else is both saying, and not saying. When asked what sets Arc-Zone apart — we’ve been told us that it’s our customer service, technical knowledge, and great product range. While we aren’t always perfect, our entire team is dedicated to problem-solving the challenges presented to us by our customers. Again, it seems that the phrase, “Stop. Collaborate and Listen” is appropriate. We are active in our local AWS Chapter, on social media (Instagram, Facebook, YouTube, and our Blogs), Pro Partnership, and our Metal Mashup newsletter because we want to connect with vendors, partners, welders, fabricators and subcontractors from across the globe to share new tips, products, and success stories. We are always open to your suggestions and feedback. Feel free to identify new products, clearer information, and ways we can better serve you. Stay tuned for our latest product additions. This entry was posted in Arc-Zone.com News, Welding Industry News and tagged collaboration, listening, professional development, trade show, welding industry on November 15, 2016 by Carmen. One of the more active groups in promoting women in the trades and encouraging women to join the trades is Oregon Tradeswomen, Inc. (OTI), an organization founded on the principles that women deserve and can attain economic self-sufficiency through pursuing careers in the building, mechanical, electrical, and utility trades while helping and encouraging the trades industry build up a diverse workforce. THIS is great news for women and the for the industry! We look forward to more good news from the Oregon Tradeswomen. This entry was posted in New Rosies, Welding Education, Welding Industry News, Welding Tips on June 21, 2016 by Carmen. 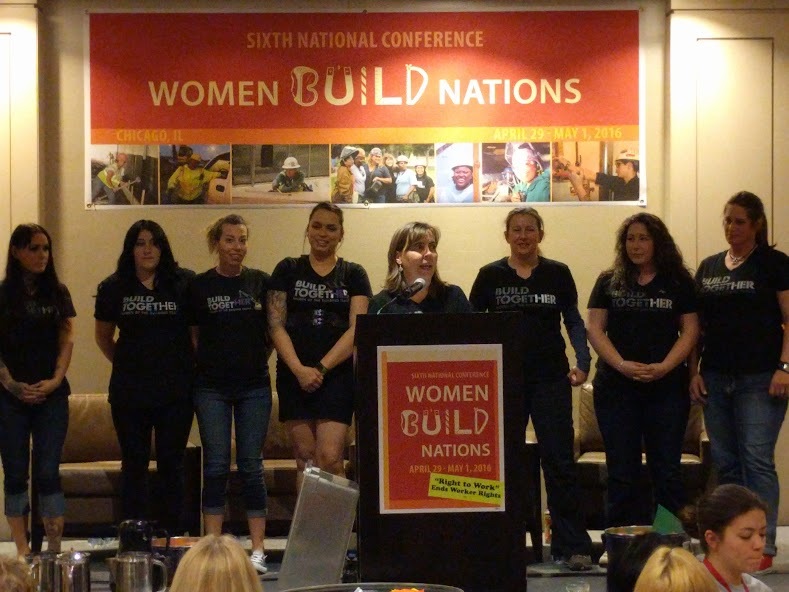 All kinds of tradeswomen attended the Women Build Nations conference! This entry was posted in New Rosies, Welding Industry News, Welding Tips on May 26, 2016 by Carmen. Whether you make New Year’s resolutions or not, the beginning of a new year always seems like a great time for new things. 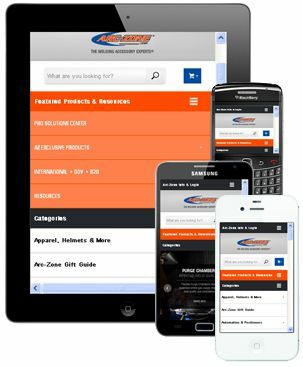 At Arc-Zone.com we’ve unveiled a redesigned website. It’s got a ton of new features in response to customer feedback–features that take advantage of technological improvements. We’re really excited about the new site, and hope you will be too! Our new site is designed to work wherever YOU work! The site is optimized for mobile devices like laptops, iPads and other tablets, and even smartphones. 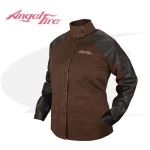 Now if you’re out in the field, you’ll find placing an order will be a breeze! Especially with our improved navigation, simplified with Fly-Out menus, and quick search that will return accurate results making sure you find the product you need for your welding job. This entry was posted in Arc-Zone.com News, Welding Industry News on January 9, 2014 by Carmen.